I don’t have a sports bike nor a entry level sports bike, I ride my 8 year old motorcycle with the cubic capacity of 135 with no abs and special safety Features but still I can attain 133 kmph on this Bajaj pulsar 135 cc where as company claims the top speed of 115 kmph. As you can see on the above Picture which I clicked today morning I am easily riding at the speed of 120 kmph but this speed is only the partial part of riding, safety is always on priority while riding for any rider. Below are the following tips from my personal experience for a safe and comfortable ride. 1. Chose your route intelligently. Choosing the Route on which you are going to ride majorly influences your safety, if possible always choose a route with least traffic and avoid city markets which will reduce down the chances of accident by 20-30 %. 2. Stay alert in construction areas. 20% of the accidents which happens on highway are because of loose sand, stones and flying objects , Only reducing down your vehicle speed can help you to avoid fatal accidents. Ride in a manner that defence your ride, Never assume that the driver behind and ahead of you is watching you, always turn your headlights on and stay away from Driver’ blind spot to ride safe. 4. Prepare your ride in Advance. Make sure that your motorcycle and riding gears are fit and fine, check the below list before any long ride. Most basic and most imp. Horn. Here is one of my video from mountains of India where I encountered an suv driver driving Fast in narrow roads of Himalayas. Maintaining distance from the next vehicle is a life saving step. 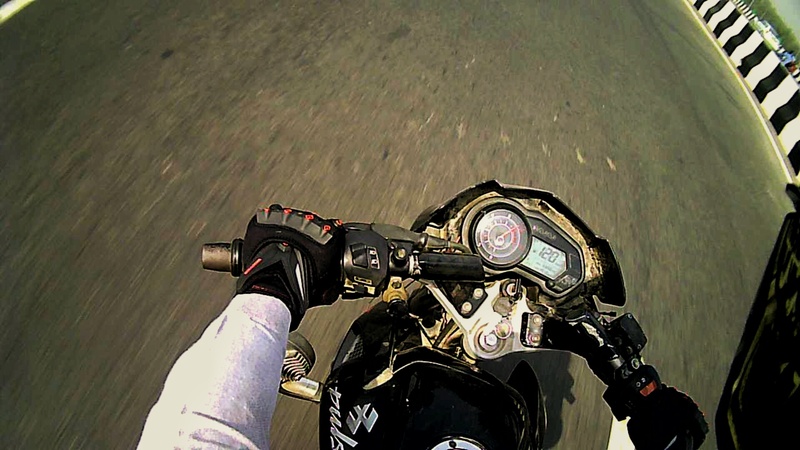 Biking at its best, ride safe , live long. Previous WHY YOU SHOULD TRAVEL SOLO THAT TOO ON BIKE.